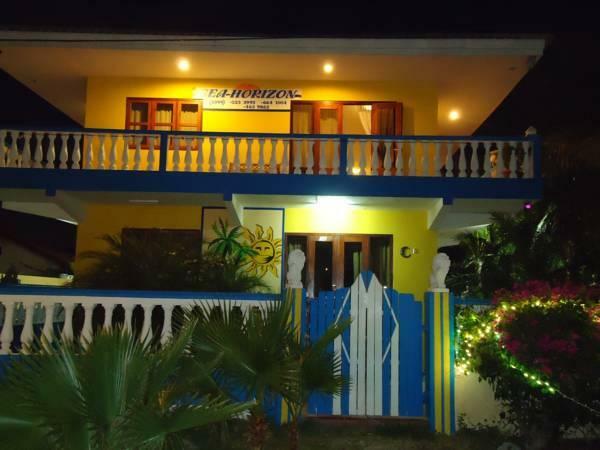 ﻿ Book Sea Horizon Apartments (Willemstad) - 2019 PRICES FROM $99! Sea Horizon Apartments are located right on the beachfront in Mambo Beach, and offer free private parking and free transport to local supermarkets. Each air-conditioned apartment has free Wi-Fi. Each Sea Horizon apartment has tropical-style décor, a furnished balcony and a living area with cable TV. Kitchenettes include a microwave, stove, fridge and washing machine. There is a communal garden with a BBQ. The Sea Horizon Apartments are just a 2-minute drive from various restaurants and bars. Willemstad is a 10-minute drive away, while Curaçao International Airport is a 25-minute drive away. I wanted a place to stay that was close to Lions Dive Resort to save money by not having to staying there. Sea Horizon was perfect! It was super close and had all the amenities that come with an apartment. Gina was super helpful and made the stay there very easy while providing excellent advice on things to see and do on the island.